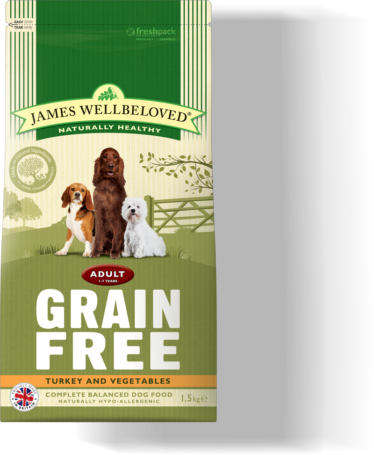 Grain Free Dog Food - Is it right for your dog? It is possible for a dog to have an intolerance to anything. 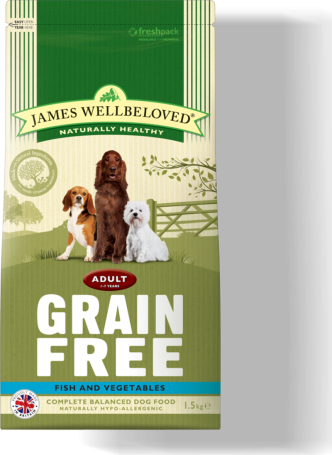 If you suspect that your dog has a food intolerance then you could try one of our grain free diets. What does grain free mean? Grain free dog food is made using a recipe without cereal. That means no wheat, rye, barley, oats, maize, sorghum, millet, triticale or rice. We replace the cereals with a mix of tasty vegetables. It is possible for a dog to have an intolerance to anything. Are there any possible disadvantages? No. These are still naturally hypoallergenic foods with a single animal protein in each food and with no added synthetic colours, flavours of preservatives.